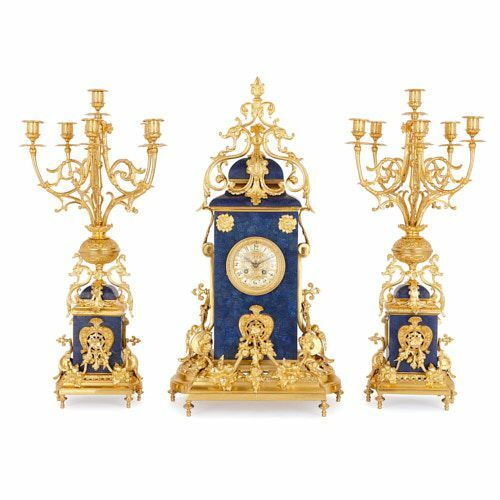 This beautiful clock set has been crafted from the precious deep blue gemstone, lapis lazuli, and adorned with sinuous, golden ormolu (gilt bronze) mounts. The set consists of a central clock, which is flanked by a pair of candelabra. The clock stands on a shaped ormolu plinth, which is decorated with a pierced band of foliage, draped with fruiting vines, and set on six bun feet. 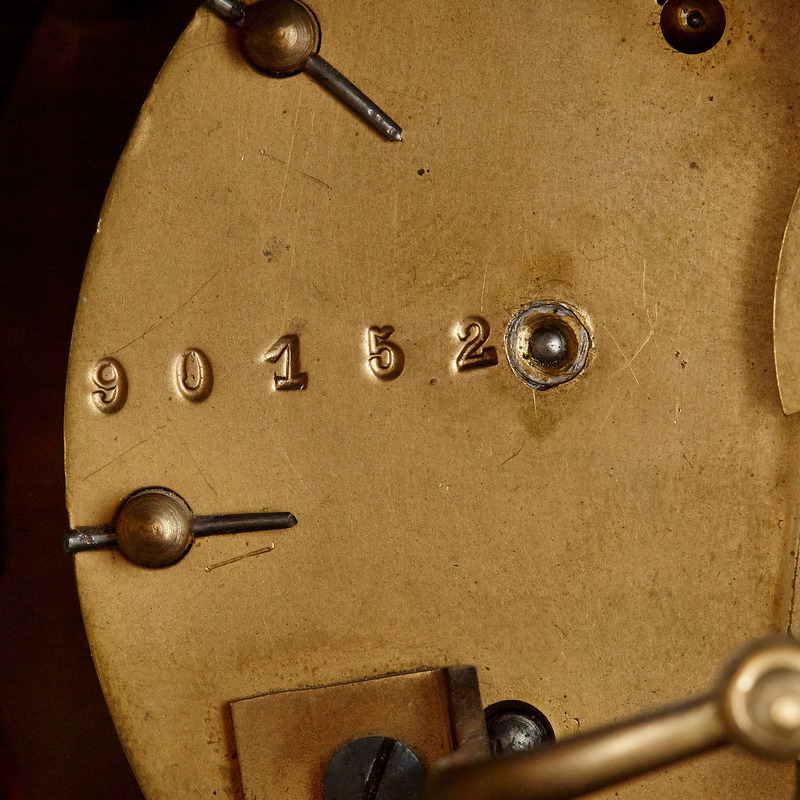 These fruit swags hang from a central ormolu cartouche and side mounts, which are fixed to the clock body above. 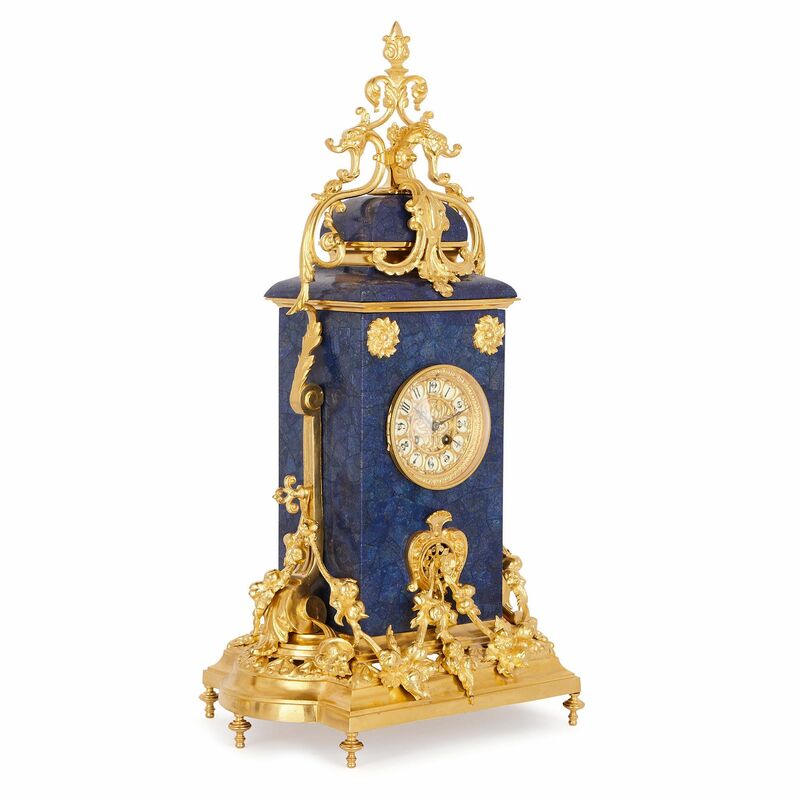 The tall, rectangular clock body is veneered in lapis lazuli (a recent addition) and the centre of its front facade is mounted with a circular dial, contained within a glass and ormolu case. The white enamel dial face is decorated with pierced, ormolu foliate designs and cartouches, which enclose Arabic Number hours. 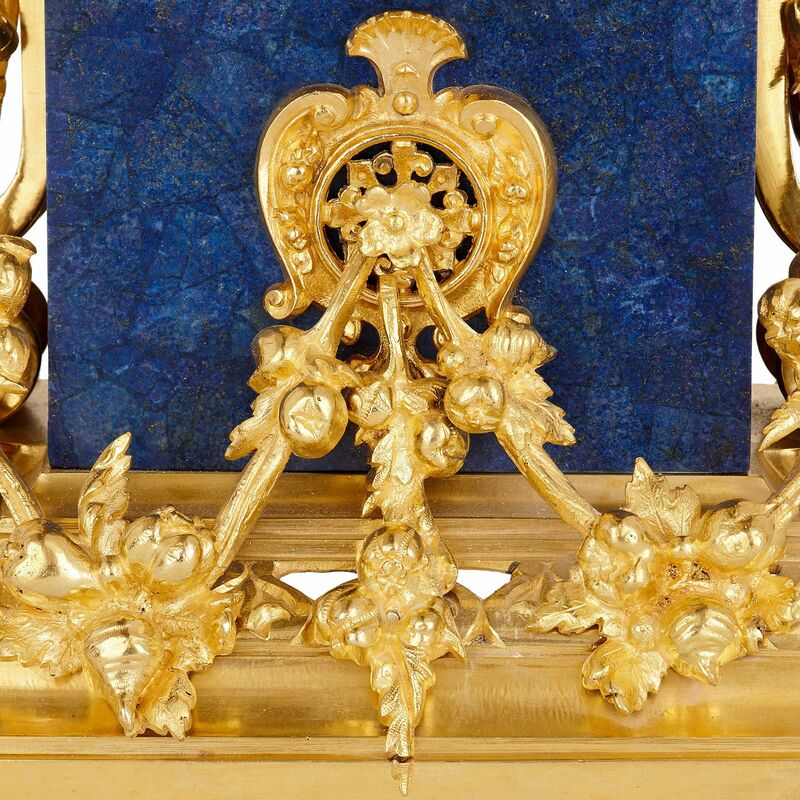 The front of the lapis body is decorated, in its upper corners, with ormolu rosettes. 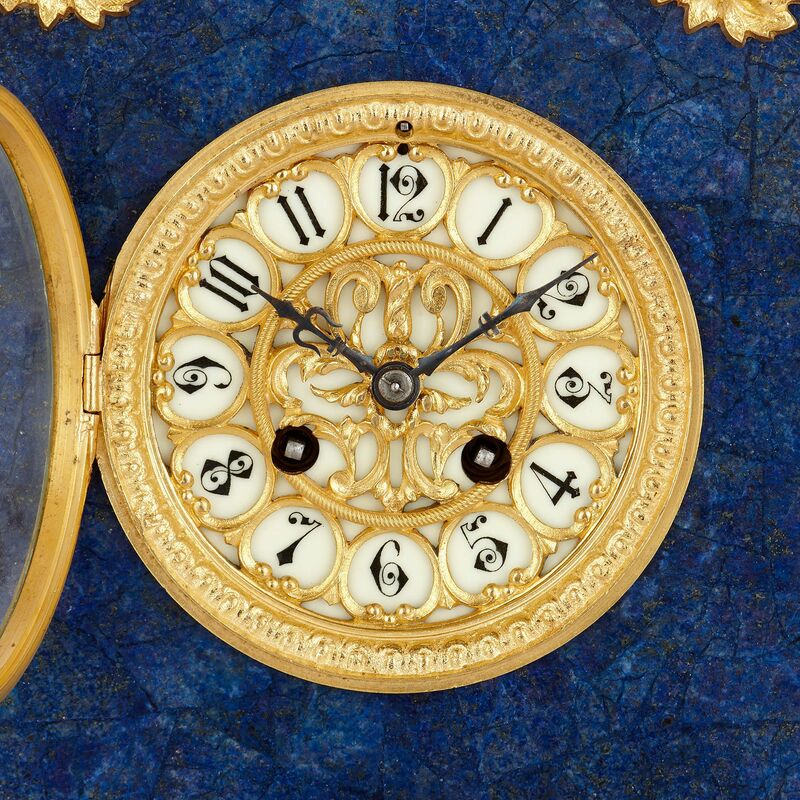 Its sides are fitted with scrolled ormolu forms, which continue up to decorate the clock’s lapis lid. The ormolu mounts on the vase lid take the form of scrolling vines, cartouches, and open-beaked bird heads, topped by a pointed finial. 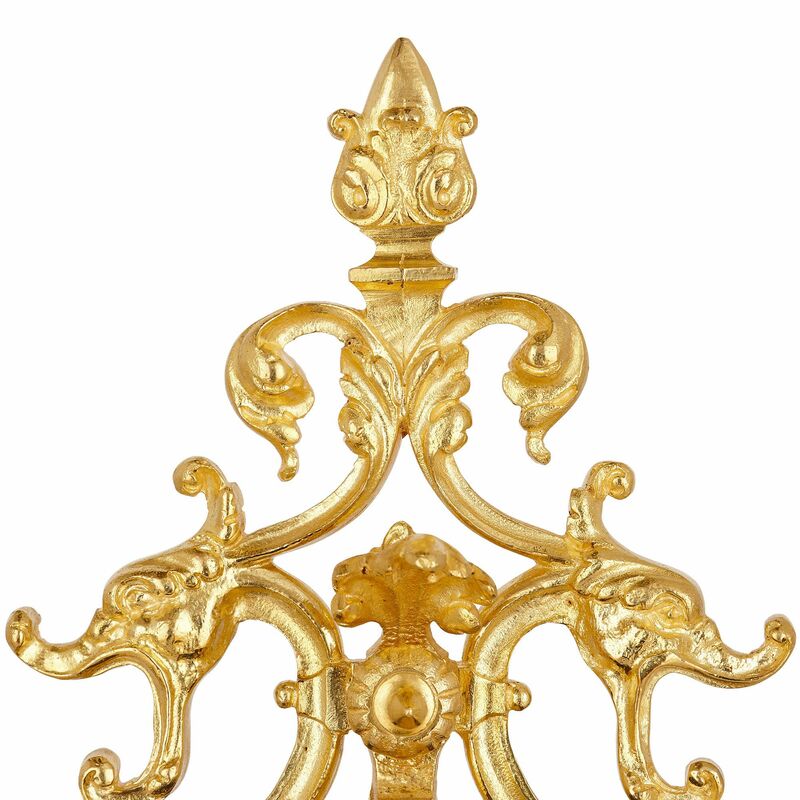 The flanking candelabra are designed in a similar manner to the clock, creating a stylistically uniform set. 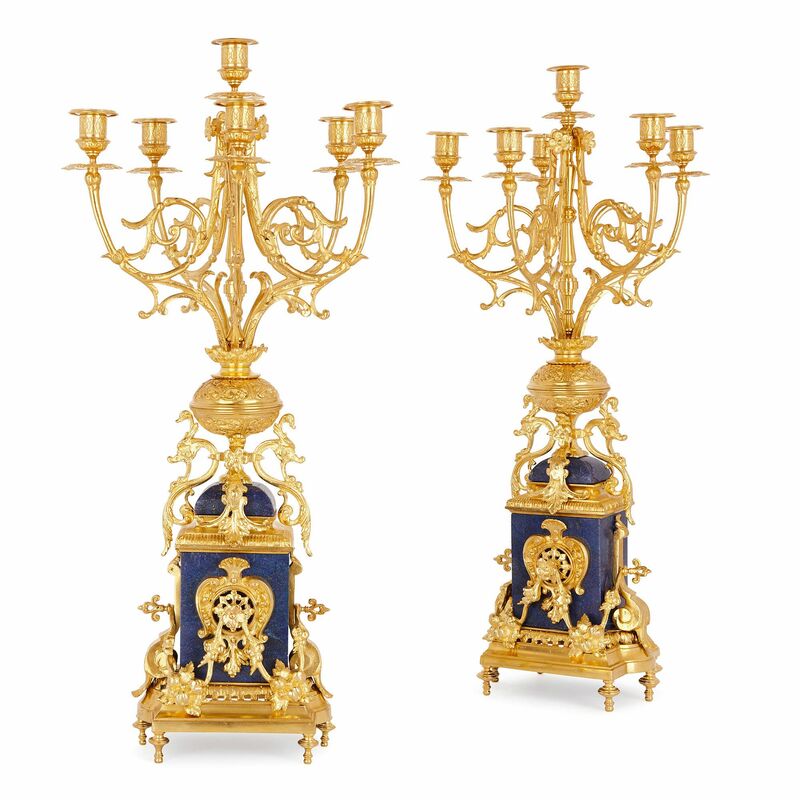 These are composed of ormolu-mounted lapis lazuli bodies, which are almost identical to the clock in their design. 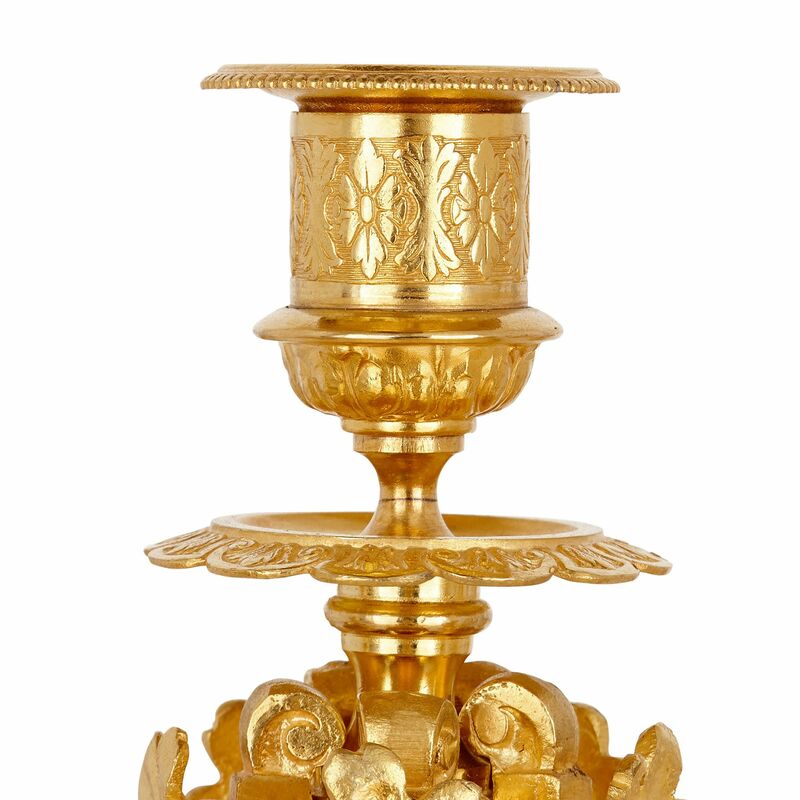 Each candelabrum body is topped by an intricately-decorated bulbous form, from which springs six light branches. These are cast as scrolling vines, which terminate in wide, foliate drip-pans and urn-shaped capitals, topped by simple sconces.